Would you like to have a garden without the endless plowing? Are you looking for a way to bring the outdoors in? Do you have an interest in gardening but lack the outdoor space? 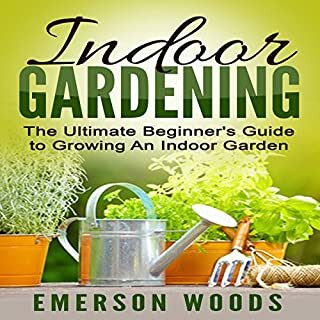 In Indoor Gardening: The Ultimate Beginner's Guide to Growing an Indoor Garden, you will learn everything you need to know to have your own little piece of paradise - an indoor garden - close at hand. You know it is important that you start building up a stockpile of goods that will sustain you should disaster ever strike and send the world reeling. Natural disaster, financial uncertainty, civil unrest, and acts of terrorism are just some of the thing that threaten to turn the world as we know it upside down. We never know what tomorrow holds. With so many possible scenarios, it is a good idea to prepare for anything and everything. Expert gardener David The Good, author of the best-selling Compost Everything: The Good Guide to Extreme Composting, has written the gardening book that could one day save your life. Easy to follow and entertaining, Grow or Die doesn't bog down in the technical details, but focuses on how you can turn your garden into a tool for survival. It's perfect for those interested in preparedness, low-tech gardening and living with a lighter, more ecologically sustaining footprint. Do you want to explore the great outdoors? Do you know where to go for the best possible experience? When you download Camping Tips: 21 Crucial Tips and Hacks to Turn Your Camping Trip into the Ultimate Outdoor Adventure, you'll learn about your many camping options - whether you go to a public campground, a private campground, or even "off-the-grid"! Do you know what to do when a crisis strikes? Natural disasters. Financial calamities. Terrorist attacks. Burglaries. Is this the time to think? No. This the time to have a plan and act! And this book tells you how. Survival is a craft that can be learned. With proper knowledge, you can protect yourself and those around you following several simple rules explained in simple terms. It's practical, it's up to date, it's easy to get! 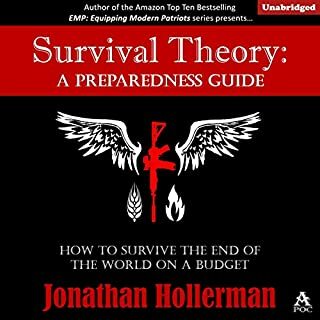 This book gives strategies and tells you what we will need to survive until you can reach the place you're bugging out to, and how to survive long-term once you get there. Good survival guide! 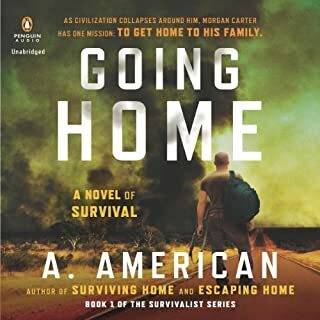 This audible made by an author based on his survival experience. He gave detail guidelines in staying safe. It's a good thing that he shares everything on what he'd been encountered so that people will know and have their ideas. Helpful survival nook! This book is a very helpful guide because it contains everything you need to know and need to prepare if ever s*** happens (natural, man-made or others). From creating a checklist to ensuring there is ample supply of basic necessities, this book has it all! 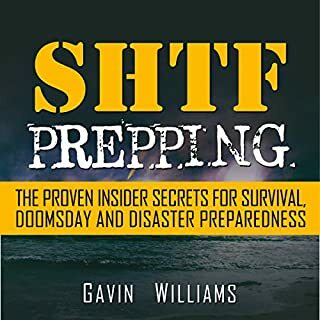 We've all heard the phase if you fail to prepare you're preparing to fail and that really is so true when it comes to SHTF survival. The main way you'll survive is by being prepared ahead of time and knowing what you'll do in the situation. You'll know the signs to look out for from a dangerous person or natural disaster and you'll have the quick thinking to know what to do next. Every second counts and this book will help you to be prepared for the worst of disasters! The increasing number of natural disasters around the word is a frightening thing. We must learn to survive through any man-made or natural disasters. The book is very well written and everything actually makes a lot of sense. Though it's a short book the amount of information that the author presented in the book is admiring. I learned lots of new things from the book and I actually feel more confident about surviving at the worse situations. I am listening to this book properly. It's very good book for SHTF Survival. 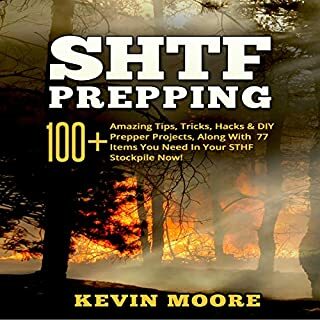 All of the basic things, tips, tricks that I need to know about SHTF Prepping are already included here. 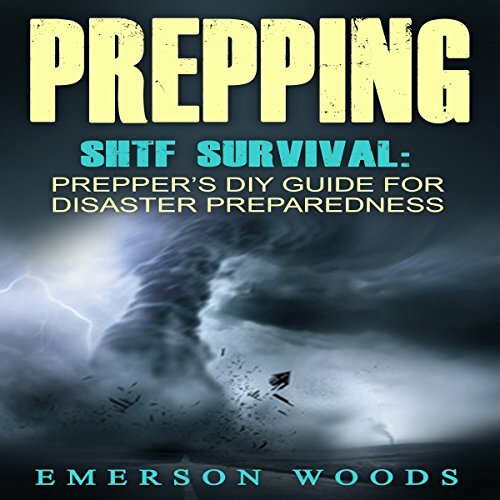 Emerson Woods has done an incredible awesome job in compiling and creating this book of SHTF Prepping. the unique part of this book is the compilations of the advice, tips, tricks and step by step guides, about preparation to anything that may happen in our lives. They are all illustrated and written in a very clear way. With that, I'd like to give this book a Very High and Amazing 5-Star. And recommended!!! This is a good foundation for anyone to start preparing for emergency situations. Easy to follow steps, inexpensive ideas, and well thought-out. Looking forward to future installments from the author. While there is a lot of good information in this book,the guide was well written. I highly recommend this guide. Even so, it is well laid out. Excellent information and ideas on affordable preparation. Thought provoking ideas and items to store, for use or trade in any scenario. This book guided me about how to prepare my stockpile and avoid common mistakes. . I love this audiobook because it covers everything you need to be prepared. Great book! Definitely a must have book. Definitely worth the read as any work which aids getting new preppers into the ranks is important. Many creative ideas for doing a lot with a little.A lot of references to other good info and other sources. Nice book with simple advice that the average person can understand and afford. Good advice with pods and links for further info. I wanted to know about SHFT prepping as the topic is becoming popular. the author explains how to survive in the worst of situations with practical and easy tips and tricks. Impressive! A good choice for beginners if the grid goes down and SHTF. We have to prepare for the worst of the worst and this book will be able to help us out. 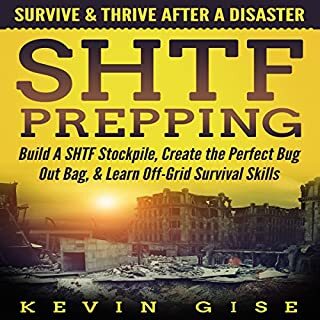 Has to be the most realistic SHTF prepping audiobook I’ve encountered. Information are well presented in a logical sequence it’s like I’m hearing it from a pro.These simple DIY projects allows me to learn some valuable skills I could use when SHTF happens. The author explains how to survive in the worst of situations with practical and easy tips and tricks. I already knew some of the things the author discussed, but many other things were new to me. Might as well prepare for that too. Covers all the essential basics. It opened my eyes, really.This book brings substance to both novices and more experienced preppers. A must have for anyone planning ahead. I just want to ensure my family is in the best possible position to survive in case something does happen.